If you are interested in serving on the outside servant teams for 2019, please contact the team selection board members. Walk information can be found on the FAQ page, #9. If you are bringing gluten-free food for the send-off potluck, please leave it on the separate "gluten-free" table. Please label gluten-free or diabetic-friendly food agape snack items. Welcome DAEC Members and Visitors! 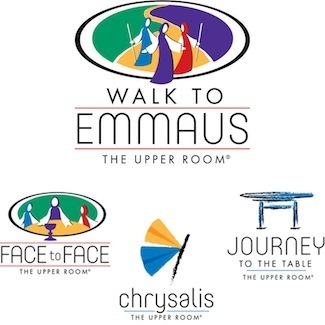 We have recently updated our community and Emmaus Walk 4th day Members ability to update personal information, volunteer for supporting community walks, have more accurate data for Reunion Groups, and many more functions. These tools are all part of our new IMS database. Visit the site by clicking the "IMS" button found on the left side of this page and use your personal e-mail to log in (User ID). If you do not have a password, or forgot it, just click on the "Forgot Password?" link on the site to reset. If IMS cannot find your email address, please use the "Contact Us" button on this page to let us know. Please note that the IMS system currently works best with the Microsoft Internet Explorer 11 or Microsoft Edge browsers. Chrome is not recommended. Just click the "Contact Us" button on the left, select "Transfer..." and fill in all of the fields. If possible, please include all of your prior team experience (including talks you have given) in the comments section.